Release notes: Tweaks to contributions, reports, and more. 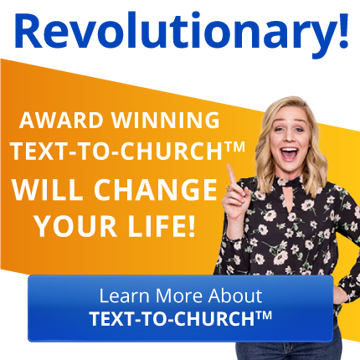 As usual, we've been doing a ton of work behind the scenes to upgrade your experience and the possibilities with Churchteams. These are not major upgrades, but a lot of tweaks in response to interactions with clients like you. Hopefully, the images will help you find context and purpose of each of these. I've organized them by major features. Added pledge summary chart to a member's online giving information page. 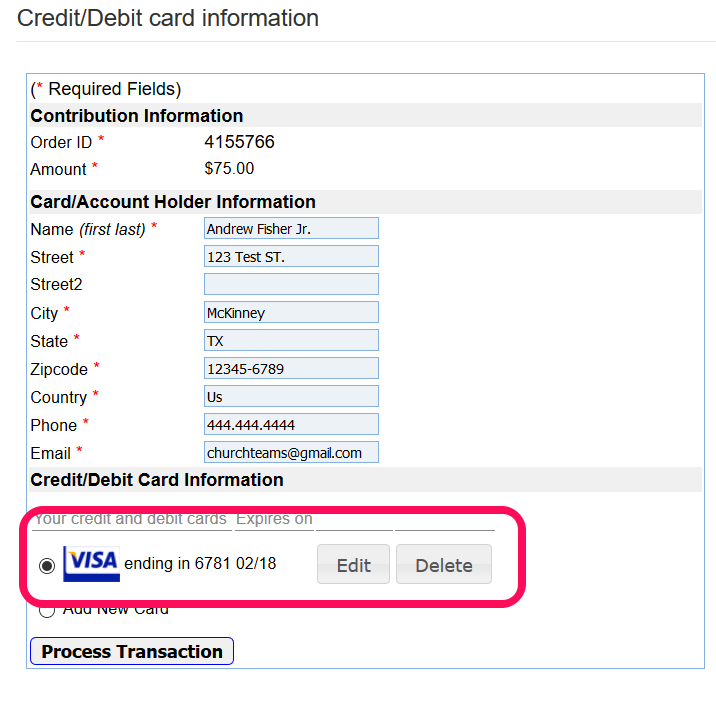 Edit or delete existing credit cards in online giving. 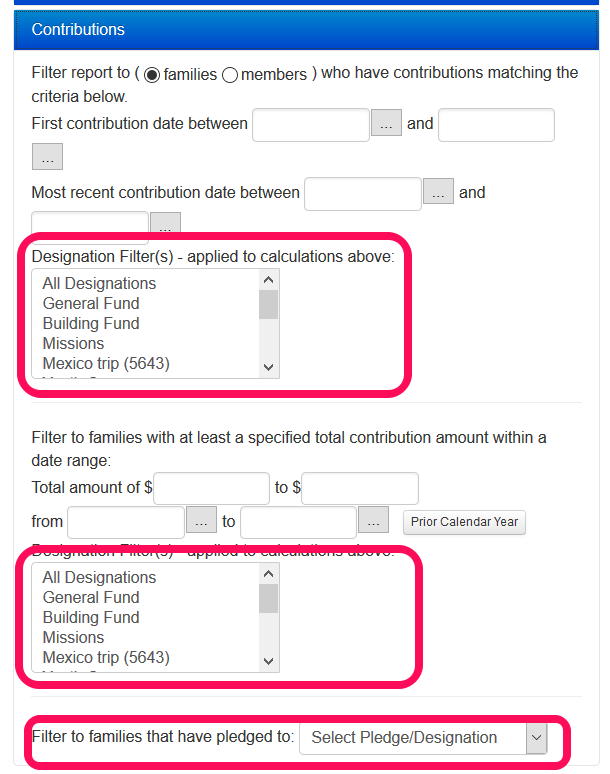 New options when exporting contributions. 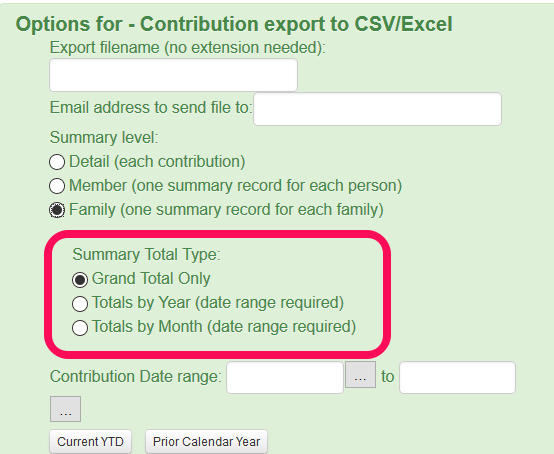 At the member or family level, you now have the option to add summary counts/totals by year or by month. A contribution date range is required. Creating a group directory to print. 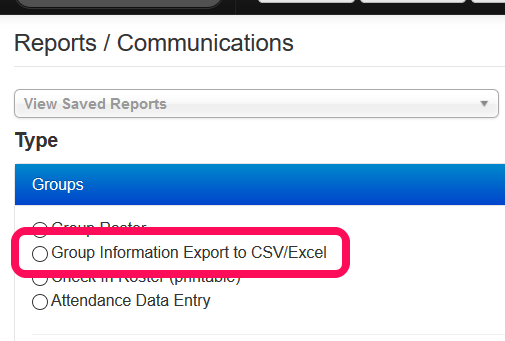 Use the new Group Information Export Report to get a one row summary of the information about each of your groups. 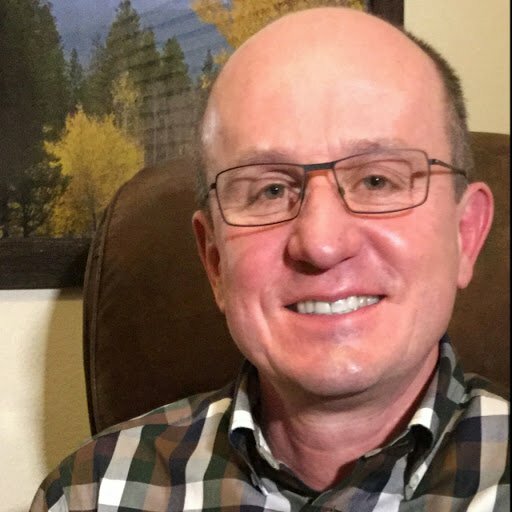 Contact information for the group leader is optional. 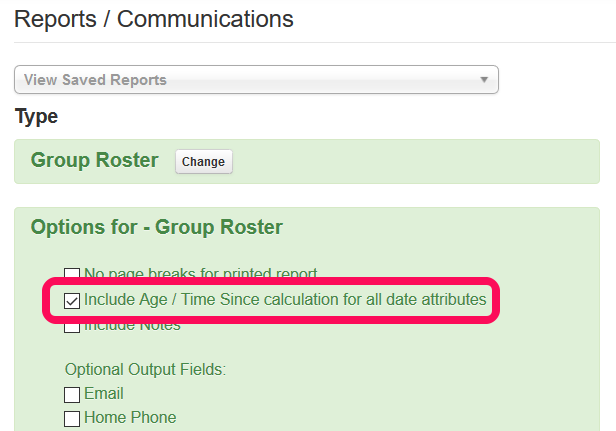 Include age/time calculations in Group Roster and Check In Roster (printable) reports. Email reminder default for new groups only has been changed to morning. Growthfinder report summary emails - now have a link at the bottom to view all previous profiles. Allows people to compare profiles to determine areas of spiritual growth. Tracking changes made to Member and Group info - the notification emails that you receive (settings / notifications) now include the security level and IP address from which the change was made to help you track the person responsible if needed. 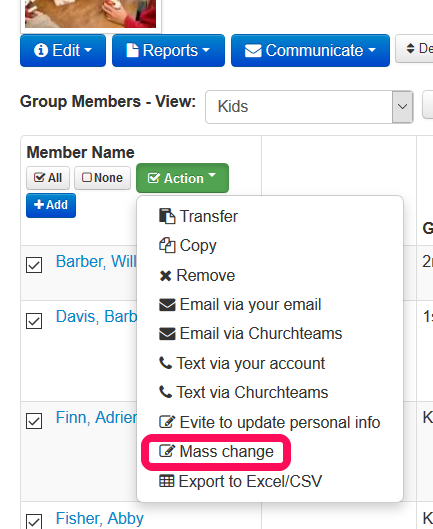 Mass update any attribute - Upgraded this feature to allow mass updating for all member and registration attributes. Great for changing anything from date attended a class to new school grade for promotion. You'll find this under the Action button on any group's page. Once the attribute action is complete, you'll have the option to update another attribute for these people or remove / transfer / copy them to another group. Phone number formatting. All phone numbers manually entered on a person's member info page will now automatically set to standard formatting. Does not apply to existing data. But does apply when adding a new family through check-in or event registration. Only applies to US and Canadian churches (based on the country mapping code). Check-in name tag button takes attendance - If you click to print a name tag (for diaper bag, volunteer or event participant name tages), the system will automatically mark the person present saving that additional step. Helpful for events and situations where the security tag is not needed, but name tags are. Suppress mobile carrier in Add New Family. If you need the space, you can suppress the mobile carrier column by adding the following line of code in check-in view, box E5. Make sure the . is in front! The eagerly awaited release of our RSVP for volunteer scheduling, reminders and management.